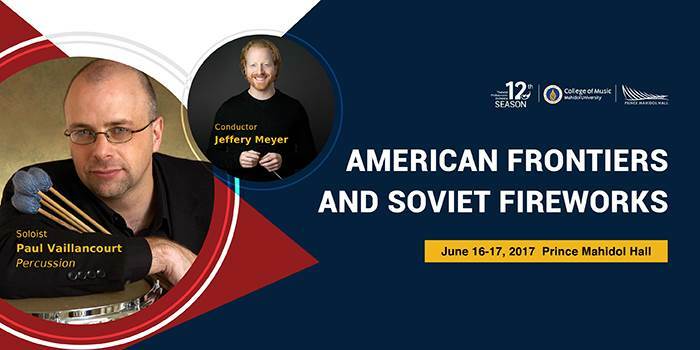 In the “American Frontiers and Soviet Fireworks” concerts the Thailand Philharmonic Orchestra, under the direction of Jeffrey Meyer bring together two 20th century masterpieces and one recent Grammy winning percussion concerto. Musically, the American frontier of the late twentieth century was minimalism, a style of music that emphasizes the repetition of tones in order to highlight their rhythmic structure. John Adams’ “The Chairman Dances: Foxtrot” was written as a separate but interrelated part of his 1985 opera Nixon in China. The music imagines a dance by Chinese Chairman Mao Tse-Tung and his wife during a banquet for the American president Richard Nixon. The piece is stylized with jazz idioms, chugging rhythms and simple diatonic harmonies. The American section of the program continues with Jennifer Higdon’s Percussion Concerto, which won the 2010 Grammy award for best classical composition. Her style has been described as neoromantic and the concerto is a free form structure with some Asian influenced elements. The soloist will be American percussionist Paul Vaillancourt, professor at Columbus State University in Georgia. Like many Soviet musical works from the mid century, Sergei Prokofiev’s Fifth Symphony in B-flat is in part a political piece – a response to the victories of the Red Army in the final stages of WW II. The entire symphony is richly melodic and distinctive. Premiered in 1945 with the composer in the role of conductor, contemporary critics noticed that the composition sought to “glorify the strength and beauty of the human spirit.” Indeed, the bold themes and diverse moods evoke a comprehensive glimpse into the human character. 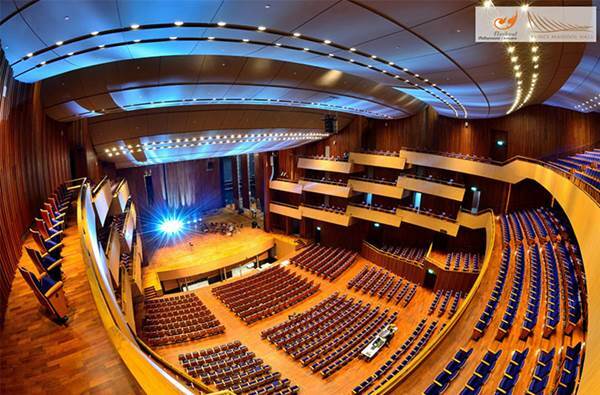 It is no doubt one of the great works of orchestral music from the 20th century.